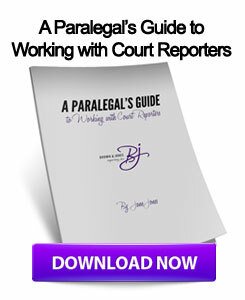 In the legal field, it is a good idea to stay informed on the latest news that happens in your area of practice. You are likely very busy at the job of being a legal professional and may not find a lot of time to spend catching up on changes. 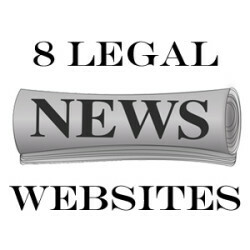 Luckily, today there are many resources for legal news you can easily find on the internet that will allow you to see what’s new in your practice area. If you prefer, you can download the entire recent edition in pdf format to print and take with you. The Lawyer.com is a website for the entire legal profession. It contains the latest legal industry news, briefings and insights. This publication offers news for several specific practice areas and several international geographical locations. The oldest law journal in the United States, The Legal Intelligencer delivers in-depth analysis and coverage of legal issues that go beyond the headlines. The Wall Street Journal reports on several different industries. The Law Section of the Wall Street Journal informs about legal news, personal injury news, legal issues, state law, bankruptcy litigation, regulations and more. Alltop collects headlines of the latest stories from the best sites and blogs that cover a topic. They group these collections into individual web pages. Then they display the five most recent headlines of the information sources as well as their first paragraph. This is a great place to skim the stories from several publications at once, then decide which you want to read. There are dozens of legal industry blogs and websites listed on one page to scan at once. Jurist is a web-based legal news and real-time legal research service powered by a mostly-volunteer team of over 60 part-time law student reporters, editors and Web developers. Jurist uses the latest Internet technology to track important legal news stories and materials and present them rapidly and objectively in a format that is easy to peruse. Law360 publishes news and analysis on business law for paying subscribers. The publication provides coverage on litigation, corporate transactions, and regulations. Law360 publishes more than 150 articles per day across 35+ legal practice areas such as intellectual property, white-collar crime, commercial contracts, class action and banking. To stay on top of legal news, find a handful of online resources that give good information on the areas of the legal world in which you are involved. Then visit these websites regularly to see what changes have been happening that you need to know about. This entry was posted on Wednesday, January 29th, 2014 at 8:00 am	and is filed under All Posts. You can follow any responses to this entry through the RSS 2.0 feed. You can skip to the end and leave a response. Pinging is currently not allowed.